Assalamualaikum and hola holy diberinama chikaboom chikaboom! Ok. I find my self not doing any product review for quite a long time. 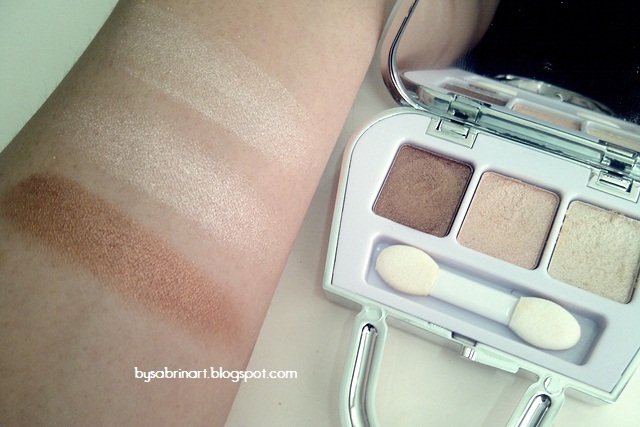 Here is a quick review of this quad eyeshadow from Silkygirl. I got this long time ago but forget to blog about it. This eyeshadow palette have 2 series. I got the one in Desert Rose. There another one in pink called Floral Tote. The first color from the left is nice but the other two I think is much more chalky and hard to blend. It was ok for a highlight color. Its a pretty creamy color with lots of sparkle. Sadly it does not stay that well without a primer. Cute packaging and easy to open. It have a sponge applicator actually inside. You can get it at any local pharmacies that carry Silkygirl. 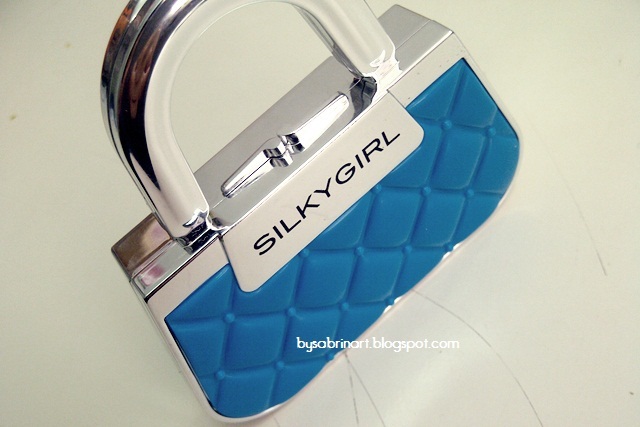 I think Silkygirl products are easy to get anywhere. Pretty convenient. It was an ok product. Nothing special to me. I think its a good start out eyeshadow for someone love the natural look. Just like the Korean girl look with minimal eyeshadow color with a pop of shimmer on the lid. thanks for the review, Silkygirl has made a lot of new products that somehow disinterest me, so I've been skipping their stand. Nice fashion blog you have! suke.. sebab packaging die cute!! The bag looks so cute!!!! Yep, i have tried it! i love it! i love using it with my UD eyeshadow, it works for this one too!